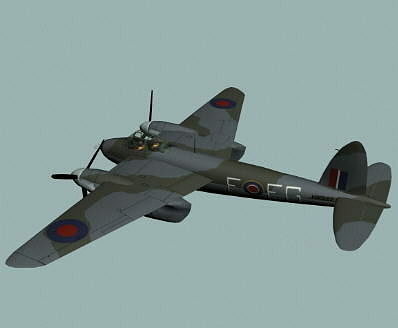 The RAF WWII Mosquito FB-VI fighter bomber was made of plywood but it could out-perform most Luftwaffe aircraft. Powered by two of the same Merlin engines that were used in the Spitfires, these wooden wonders were the fastest aircraft until the advent of jets. Other variants served as bombers, photo reconnaissance units, fighters, pathfinders and as anti-submarine and anti-tank gun or rocket platforms.